Learn how to make fabric flower jewelry that will have you blooming with pride. Check out How to Make Fabric Flower Jewelry: 20 Floral Jewelry Tutorials and you'll be a pro at making DIY fabric flowers that you can accessorize to your liking. Your friends will be green with envy when they see these beautiful blossoms on your neckline, wrist, fingers and head. It's time to plant that creative seed to learn how to make fabric flower jewelry. From fabulous fabric flower brooches to cute floral hair accessories, there is a project for everyone in this collection of fabric flower jewelry designs. 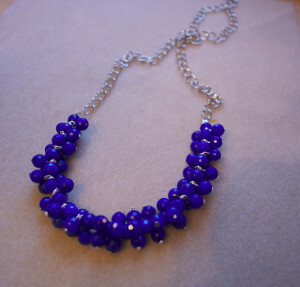 So you've mastered making beaded jewelry, you're a whiz at wire wrapping, you've conquered chainmail, and you're looking for a new challenge? 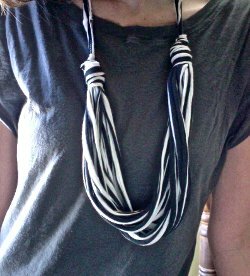 Channel your inner seamstress with the fabric jewelry projects found in our collection, DIY Fabric Jewelry: 51 Fabric Crafts for the Fashionista! These aren't your grandmother's accessories anymore. 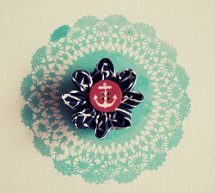 Check out these one-of-a-kind fabric flower tutorials on making fabric flowers into brooches. These adorable accessories have made a major comeback, appearing on purses and blouses on ladies of all ages. 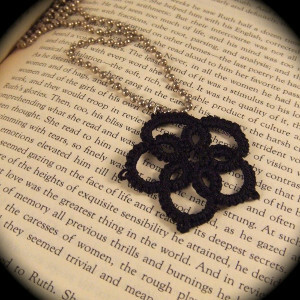 If you love the pretty necklaces below, be sure to check out this collection of neat necklaces. How to Make Necklaces with Big Impact: 29 DIY Statement Necklaces is a collection that fabulous fashionistas are sure to adore. If you're wondering both how to make fabric flower jewelry and what kind of jewelry to make, we have a suggestion. Consider making DIY necklaces that are fresh and seasonal. These are stunning necklace crafts that involve spring's favorite mascot: flowers. 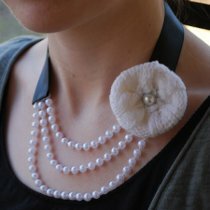 Here are a couple of designs that we think are divine as far as making fabric flowers into jewelry goes. There are so many ways to make bracelets, but not all of them teach you how to make fabric flower jewelry. 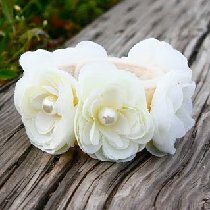 Try out these selected DIY bracelets and simultaneously learn how to make fabric flowers. These DIY rings will teach you the art of making fabric flowers. 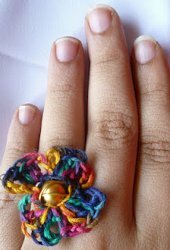 You can crochet, glue or sew your way to a beautiful handmade ring that looks like a real flower. 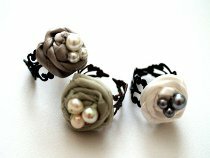 Loving these ravishing flower ring projects? Find even more dazzling ring designs in this collection, How to Make a Ring: 16 Stackable Rings! Admit it: You've wanted to wear flowers in your hair since you were a little girl. Now is your chance. 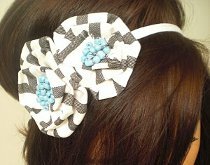 You'll love learning how to make flowers out of fabric and then wearing them in your hair. This look takes the pressure off of your other accessories because it will serve as the floral focal point of your entire outfit. The floral jewelry tutorials below offer various ways to craft blossoms out of scraps. How could you have overlooked making flower hair accessories before? BONUS: Check out these fabulous pair of fabric flower earrings. You are sure to adore this tutorial for Pretty Petal Pearl Earrings and these Recycled Fabric Flower Earrings! 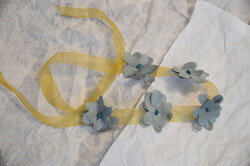 When it comes to learning how to make fabric flower jewelry, the sky is the limit. We hope you've enjoyed making fabric flowers into jewelry. 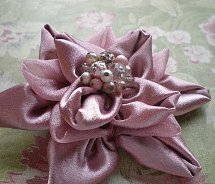 Visit our site for more tutorials for fabric flowers and other jewelry designs.